GENERATION KILL are also added to the Sophie stage line-up on Saturday. 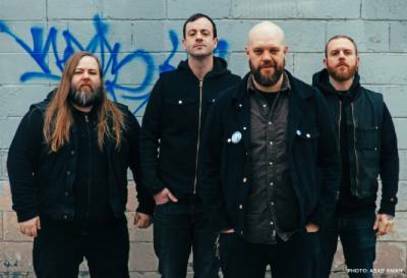 Fronted by former Exodus frontman, Rob Dukes, GENERATION KILL have been hard at work on a brand new record, which includes a guest solo from Slayer/Exodus axeman Gary Holt. Here’s hoping it’s out before BLOODSTOCK! The band debuted new song ‘The Rat King’ during a recent radio interview - take a listen at:https://youtu.be/Z1Qxnrw_Sz8 (the song starts at 6:30). BLOODSTOCK ‘Metal 2 The Masses 2014’ alumni, RESIN join the Sophie stage gang on Sunday. The Leicester based post-grunge rockers released their ‘The Cycle of Need’ album in mid-2018. If you’ve not come across RESIN before, treat your eyes and ears to the video for ‘Burn’ - https://youtu.be/jZ8T_TS83q0. The final allocation of VIP tickets, plus Podpads, Luxpads, Bellepads and Octopads are now on sale, plus a limited number of VIP upgrades (for those who’ve already purchased a standard ticket). For full details click to http://www.bloodstock.uk.com/pages/vip-camping. Standard weekend tickets are also in the ticket store, priced £145 (+ fees); snap yours up at http://bloodstock.seetickets.com. Don’t want to miss anything? You can subscribe to the BLOODSTOCK e-mailout to get band and news announcements as they happen! Click through to http://eepurl.com/dKZrG-/ to sign up.